05/10/12 -- Soycomplex: Nov 12 Soybeans closed unchanged at USD15.51 1/2; Jan 13 Soybeans closed at USD15.51, also unchanged; Oct 12 Soybean Meal closed at USD474.70, up USD3.90; Oct 12 Soybean Oil closed at 50.76, down 24 points. For the week Nov 12 beans were almost 50 cents lower, Oct 12 meal was down USD12.30 and Oct 12 oil fell 142 points. The Commitment of Traders report showed funds cutting their net long position in beans by almost 17,000 contracts in the week through to Tuesday night. Informa Economics estimated US soybean yields at 37.8 bpa with production at 2.86 billion bushels. The yield estimate is 2.5bpa above the USDA's September figure, and the production number is 226 million higher than the USDA. Demand for US beans remains very strong, backed up by yesterday's weekly export sales of almost 1.3 MMT. That means that forward sales are running at a record pace of 82% of the USDA's projected full season target, almost double the normal rate. The USDA announced fresh sales of 180 TMT of US beans sold to China today. Whilst the US has the world soybean trade to itself for the remainder of 2012, it will face stiff competition from South America by the spring of 2013. The USDA's Brazilian attaché estimates the 2012/13 soybean area at 27.5 million hectares, with production seen at 82.0 MMT and 2012/13 exports at 38.5 MMT. All three would be individual records. Corn: Dec 12 Corn closed at USD7.48, down 9 cents; Mar 13 Corn closed at USD7.48 1/2, down 8 3/4 cents; Fund selling was estimated at 8,000 corn contracts on the day. Dec 12 corn was 8 1/4 cents lower on the week, with Mar 13 down 11 cents. Outside markets were a negative influence with crude oil falling back below USD90/barrel on global economic concerns adversely affecting demand. Informa placed US corn yields at 127 bpa this year, and the crop at 11.194 billion bushels. Last month's USDA estimates were 122.8 bpa and 10.727 billion bushels. Unlike soybeans, the US has only sold 33% of the USDA's projected 2012/13 target for corn sales. In fact it's eight weeks since the US sold more corn than soybeans in the weekly sales report. That doesn't look like changing too dramatically any time soon, with South American corn offered at USD40-50/tonne cheaper than US corn. Indeed, Brazilian corn is now being successfully imported into the US by several large feed operations. Michael Cordonnier yesterday estimated the Brazilian corn crop at 72-73 MMT versus 72.5 MMT last year and the Argentine corn crop at 26-27 MMT versus 21.0 MMT. So competition from that region looks set to continue throughout 2012/13. Harvest pressure remains, with a record 70% of the US corn crop likely to be in the barn by Sunday night, up from 54% a week ago. Wheat: Dec 12 CBOT Wheat closed at USD8.57 1/2, down 11 3/4 cents; Dec 12 KCBT Wheat closed at USD8.78 3/4, down 8 cents; Dec 12 MGEX Wheat closed at USD9.19 1/2, down 6 3/4 cents. On the week Chicago wheat was 49 cents lower, with Kansas wheat down 48 3/4 cents and Minneapolis losing 39 cents. The USDA attaché in Australia fell into line with just about everybody else (except the USDA themselves), placing the wheat crop there at 21 MMT - the USDA will surely change their forecast of 26 MMT next week? The Commonwealth Bank of Australia forecast wheat exports the at 17.8 MMT in 2012/13 versus 24.9 MMT in 2011/12 and the ABARES estimate of 21.5 MMT and the USDA's 21.0 MMT. Russia's Grain Union head said that the country may export 15 MMT of grains in 2012/13, a bit more than the official Ministry estimate of 10-14 MMT. Around 7.5 MMT of that has already been shipped, according to the Grain Union. Russia's Deputy Minister of Agriculture said that the government may begin selling off some of it's grain intervention fund at the rate of 100 TMT/week starting on Oct 23 and lasting through to the end of the year. Potentially that would mean releasing 1 MMT of the 5 MMT currently held onto the market, double the amount originally suggested. The move is aimed at stabilising rapidly rising domestic prices. Ukraine said it had harvested almost 35 MMT of grain off 83% of the planned area, with corn harvesting almost at the halfway point. 05/10/12 -- EU grains were mixed with Nov 12 London wheat unchanged at GBP199.05/tonne and with Nov 12 Paris wheat EUR1.25/tonne weaker at EUR259.00/tonne. For the week Nov 12 London wheat was GBP3.70/tonne lower, with Nov 12 Paris wheat down EUR6.75/tonne. Out of interest May 13 London wheat is currently running at almost parity with May 13 Paris wheat. EU sales are going well, with Brussels issuing 518 TMT of soft wheat export licenses this week, bringing the 2012/13 marketing year-to-date total to 3.81 MT. France was the largest recipient as per usual, accounting for 218 TMT of this week's total. 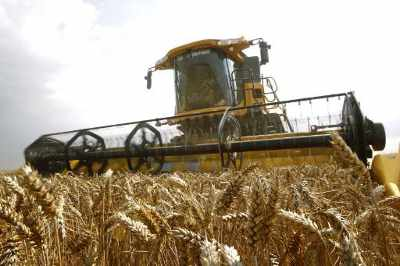 As what the HGCA call "one of the latest harvests in recent years" draws to a close, they are standing by last week's estimate of wheat yields in the UK to average somewhere between 6.8-7.2 MT/ha. Once again they say that the final yield is likely to be "at the lower end" of that range. That would correspond with Coceral's production estimate of only 13.6 MMT this season released late last week. Quality remains in short supply with low specific weights a feature with this year's wheat, barley and oats. Rapeseed yields are a bit better than the five year average at 3.5 MT/ha, although oil content is low, the HGCA comment. Russia's grain crop currently stands at 67.5 MMT off 92.5% of the planned harvested area, suggesting a final crop of around 73 MMT versus 94 MMT in 2011. 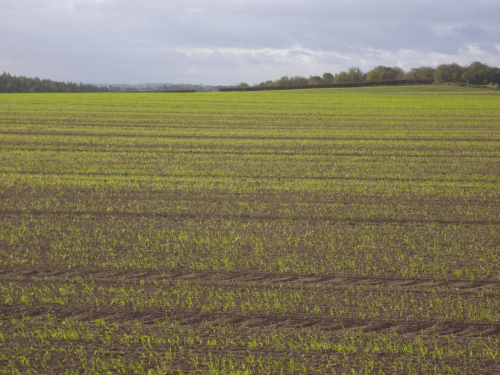 Yields are averaging 1.85 MT/ha, down 20% on last year. If you think that's bad then spare a thought for Romania. The Ministry there say that corn production could more than halve this year to just 4.7 MMT from 10.5 MMT last year. With the European corn harvest still ongoing, analysts are scaling back their ideas on EU-27 output on an almost weekly basis at the moment. MDA CropCast cut their EU-27 corn production forecast by 2 MMT to 53.6 MMT yesterday, almost 11% down on last year's crop of 60.2 MMT. And so, as one largely disappointing northern hemisphere harvest draws to a close, thoughts are already turning to the next. The FAO say that world wheat plantings for 2013 are at least expected to match those of this season, and that assuming a return to more normal weather conditions "could result in a significant increase in next year's global wheat output." 04/10/12 -- Soycomplex: Nov 12 Soybeans closed at USD15.51 1/2, up 19 3/4 cents; Jan 13 Soybeans closed at USD15.51, up 18 3/4 cents; Oct 12 Soybean Meal closed at USD470.80, up USD5.30; Oct 12 Soybean Oil closed at 51.00, up 67 points. Beans were overdue a corrective rally, and got one courtesy of a selection of friendly news. Weekly export sales of almost 1.3 MMT comfortably beat trade expectations of around 750-900 TMT. Actual shipments of nearly 1.2 MMT were also very strong, the best total in 37 weeks. Both numbers take the 2012/13 marketing year to date commitments to nearly 23.5 MMT, almost 82% of the USDA's target for the full season only four weeks into it. China took a million tonnes of this week's sales despite being on holiday, clearly taking advantage of the recent sharp dip in prices. Stats Canada surprised the trade by estimating rapeseed production there 2 MMT below the USDA at 13.4 MMT. The Buenos Aires Cereals Exchange estimated Argentina’s 2012/13 soybean area at 19.7 million hectares, up 4.5% from a year ago. Michael Cordonnier estimated Argentina's 2012/13 soybean crop at 55-57 MMT vs. 41.0 MMT in 2011/12. Brazil's crop is seen at 81–83 MMT versus 66.5 MMT in 2011/12. The total South American crop he estimates at 147.6–154.4 MMT, compared with 115.0 MMT in 2011/12, an increase of more than a third. All in all there's little change to the fundamental outlook for soya. We have very strong world demand, particularly from China, and only one seller - the US. The supply cavalry are coming, but they're 4-6 months away yet, let's hope that they don't get cut off at the pass. If the US was to keep selling at this week's rate then they'll have hit the USDA's target for the whole of 2012/13 four weeks from now. Corn: Dec 12 Corn closed at USD7.57, up 1/4 cent; Mar 13 Corn closed at USD7.57 1/4, down 1/4 cent. Weekly export sales of 326,900 MT were better than last week, but then again they could hardly have been worse. At least that fell within the range of trade estimates of a modest 200-400 TMT, which isn't very much at this time of year. This takes total commitments for 2012/13 to only 10.4 MMT versus 15.8 MMT at this time last year. Ag Resource came out with a 2012 US corn production estimate of 10.225 billion bushels with a yield of 119 bpa versus the USDA's 10.727 billion bushels and 122.8 bpa. Informa are out with their revised estimates tomorrow ahead of the USDA themselves next Thursday. MDA CropCast cut their EU-27 corn production estimate by 2 MMT to 53.6 MMT, almost 11% down on last year. Michael Cordonnier estimated the Brazilian corn crop at 72-73 MMT versus 72.5 MMT in 2011/12. He placed the Argentine corn crop at 26-27 MMT versus 21.0 MMT in 2011/12. MDA CropCast said 70.4 MMT and 27 MMT respectively. The Buenos Aires Cereals Exchange estimated Argentina’s corn area at 3.4 million hectares, down 12% from a year ago. The FAO estimated the 2012/13 world corn crop at 855 MMT versus 884 MMT in 2011/12. US Grains Council said that China has enough corn to meet demand but may import for stocks, saying that China's 2012 corn output could beat 2011's record production by 5-6 MMT. The USDA currently have China down to produce 200 MMT of corn this year, with a domestic consumption of 201 MMT and reserves of 60 MMT. Wheat: Dec 12 CBOT Wheat closed at USD8.69 1/4, down 3 3/4 cents; Dec 12 KCBT Wheat closed at USD8.86 3/4, down 4 1/4 cents; Dec 12 MGEX Wheat closed at USD9.26 1/4, down 3 1/2 cents. US wheat came a poor third to EU and Argentine origins in yesterday's Egyptian tender. Weekly export sales for US wheat came in below the 400-600 TMT expected at 307 TMT, bringing 2012/13 year-to-date commitments to just over 13 MMT, or 40% of the USDA's target for the full season versus 55% normally. Sales now need to average 555 TMT a week to achieve the USDA's projected 32.5 MMT of exports this season. Stats Canada estimated the wheat crop there at 26.73 MMT, slightly down on 27 MMT last time, although almost 1.5 MMT up on last year. MDA CropCast cut their estimate for 2012/13 world wheat production to 635.3 MMT, down 600 TMT from last week due to continued dryness in Australia. US wheat sales need to pick up in the second half of 2012/13, whilst it continues to find a way into traditional homes, it is still priced a little bit too dear for the likes of Egypt. It seems like Russia and Ukraine are, or will soon be, more of less sold out on wheat. However, Europe, Canada and Argentina aren't. Australia's crop may be dwindling, but 20 MMT is still 13 MMT more than domestic consumption and large carryover stocks following two record harvests in a row will still make them a force to be reckoned with on the international wheat market. 04/10/12 -- EU wheat closed mostly mixed but mostly higher on the day with Nov 12 London wheat down GBP0.45/tonne to GBP199.05/tonne and Nov 12 Paris wheat EUR2.25/tonne firmer at EUR260.25/tonne. Paris wheat was steady after another strong showing in yesterday's Egyptian tender, although Argentine wheat also got a look in after matching French origin on price. The latter's wheat harvest will be underway next month with a crop of around 11.5 MMT generally expected. Opinion is divided as to whether the wet season that Argentina's wheat has seen will ultimately prove detrimental or beneficial. Australia's wheat production prospects continue to decline, with MDA CropCast today lopping 0.7 MMT off last week's forecast to 20.9 MMT, a decline of more than 28% on last year. "A few showers returned to south central Queensland and north central New South Wales this past week, which improved moisture slightly for heading wheat. However, significant dryness continued to reduce yields in southwestern New South Wales and South Australia," they said. MDA CropCast also cut their EU-27 corn production forecast by 2 MMT to 53.6 MMT, almost 11% down on last year's crop of 60.2 MMT. Stats Canada estimated domestic wheat production there at 26.73 MMT, slightly lower than the 27 MMT expected. They surprised many in the market though with a sharp cut in rapeseed production this year, coming in with an estimate of 13.4 MMT, fully 2 MMT below the USDA's last estimate. Martell Crop Projections flagged up some potential problems for Canada last month, saying that crop losses were particularly severe in the north of Saskatchewan province, which received rainfall of 150-200% of normal in the June-to-August period. Paris rapeseed finished the day posting sharp gains of EUR16-17/tonne on news that the world's largest exporter was taking a 2 MMT hit on production this year. 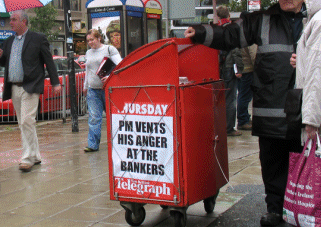 That will tighten the global supply and demand balance sheet. Earlier in the week Agritel say that Ukraine, typically a large supplier to help cover the EU's rapeseed deficit, has already shipped 0.6 MMT of rapeseed in Q1 of 2012/13 out of an expected full season total of 1.0 MMT. Spain's economy minister insists that the country doesn't need a bailout amidst rumours that they may ask for one as soon as this weekend. 03/10/12 -- Soycomplex: Nov 12 Soybeans closed at USD15.31 3/4, up 1 1/4 cents; Jan 13 Soybeans closed at USD15.32 1/4, down 1 cent; Oct 12 Soybean Meal closed at USD465.50, up USD2.10; Oct 12 Soybean Oil closed at 50.33, up 6 points. It was a lacklustre looking close, although front month Nov 12 beans fell close to USD15/bu at one point. There was little in the way of fresh news with China closed for most of the week, restricting potential export sales activity, although private exporters did report the sale of 21,000 MT of soybean oil to China for 2012/13 delivery. Palm oil fell to a three year low yesterday, recent weakness has been pressuring the soycomplex. The Kenanga Investment Bank estimated Malaysia’s September palm oil stocks at a record 2.43 MMT. Crude oil crashed below USD90/barrel, adding a negative tone that beans eventually did quite well to shake off. Monsanto estimated the 2013 US soybean area at "above 76 million" acres, nowhere near as high as Informa's recently suggested 79.9 million. Weekly export sales in tomorrow's report are expected to be robust once again at around 750-900 TMT. Corn: Dec 12 Corn closed at USD7.56 3/4, down 1 1/2 cents; Mar 13 Corn closed at USD7.57 1/2, down 2 1/4 cents. Corn also closed well off session lows. Ethanol margins are declining, and with it demand for corn from that sector. The weekly ethanol grind was down 3% from last week and 8.5% lower than this week a year ago. Monsanto estimated the 2013 US corn acreage at 96 million, again some way below Informa's recent 97.537 million. Shanghai's JC Intelligence estimated China’s 2012 corn crop at 171 MMT vs. the USDA's 200 MMT. That sounds like a stunning difference, until you consider that the former pegged 2011 production at 167 MMT vs. 193 MMT from the USDA. China's current corn buying, or lack of it, doesn't suggest that they are going to be running out a while yet. Trade estimates for tomorrow's weekly export sales report are 200-400 TMT. Last week's sales were very poor at less than 400 MT, the second worst weekly total since 1996. Wheat: Dec 12 CBOT Wheat closed at USD8.73, up 1 1/2 cents; Dec 12 KCBT Wheat closed at USD8.91, down 1 1/4 cents; Dec 12 MGEX Wheat closed at USD9.29 3/4, up 5 1/2 cents. Egypt bought a 240 TMT combination of mostly French wheat for Dec 11-20 delivery, along with one cargo of Argentine wheat, at prices that calculate out around USD10-12/tonne cheaper than US wheat when freight is factored in. It would seem that Russia are out of the market, at least that far forward, as no offers were forthcoming from that direction. Russia has exported 7.435 MMT of grains between Jul 1 and Sep 26, which is 19% down on last year, the Ministry say. Stats Canada's 2012 crop production report comes out tomorrow, all wheat output was pegged at 27 MMT last month. The Ukraine Ministry say that this year's grain harvest is 81% complete, producing 33.26 MMT, with average yields down 14% on last year. Trade estimates for tomorrow's weekly export sales are 400-600 TMT. 03/10/12 -- EU grains lower with Nov 12 London wheat down GBP0.50/tonne to GBP199.50/tonne and Nov 12 Paris wheat falling EUR1.25/tonne to EUR258.00/tonne. European wheat extended the recent declines, although closing off the intra day lows in a fairly quiet session with Germany closed for a public holiday. This was London wheat's sixth lower close in seven trading sessions. Outside influences were bearish, with crude oil crashing around USD3/barrel in afternoon trade on global economic concerns. 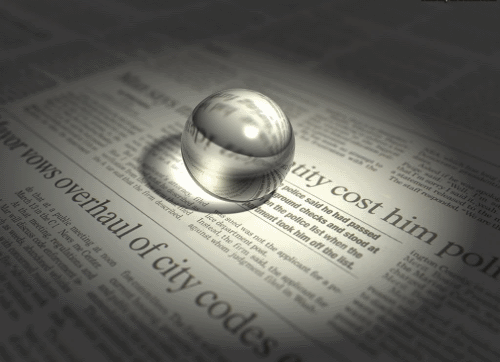 Media reports suggest that Spain may have it's Moody's credit rating downgraded to junk status by the end of the week. As ever, wider macro-economic concerns always seem to trump the grain market fundamentals. The trade is still coming to terms with the extent of the acute decline in UK wheat production and quality this year. A crop below 14 MMT now looks assured - the lowest since 2007. However bushel weights are so low that it looks likely that we may well end up importing more than double last season's 900 TMT of wheat in 2012/13. Meanwhile exports are also likely to take a severe hit compared to the 2.5 MMT shipped out in 2011/12. It may therefore surprisingly be the case that in a very low production year we actually struggle to move the bulk of the low quality wheat that we have. Coceral place the EU-27 wheat crop at 124.7 MMT, down 3.6% on last year. The French crop is seen 6% higher at 36.05 MMT. That is one of the few success stories however, with the UK crop forecast down almost 11% at 13.6 MMT. Production in Spain, the Czech Republic, Poland and Romania has also taken a fair hit this year. The EU-27 rapeseed crop is forecast at 19.3 MMT, a modest increase on last season's 19.05 MMT, led by a rebound in production of 29% in Germany to 5.03 MMT. Wheat output in New South Wales, Australia's second largest producing state, is now seen around 1 MMT down on last year at 6.9 MMT. Production in the top state Down Under of Western Australia, where the wheat harvest is now just about underway, is also seen sharply lower on persistent drought. Egypt bought 240,000 MT of wheat from France and Argentina for mid-December delivery today. Three cargoes of French wheat came in at an average of USD344.37/tonne FOB, with one cargo of Argentine wheat trading at USD333.68/tonne FOB. US wheat was a cheapest priced USD346.91/tonne whilst Russian, Ukraine and Romanian wheat (who have all won a share of Egypt's recent business) weren't even offered on this occasion. 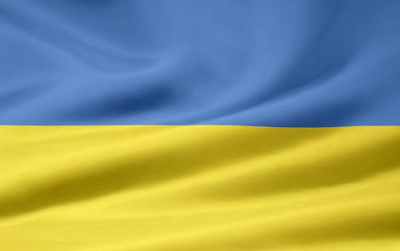 03/10/12 -- The Ukraine Ministry say that this year's grain harvest is 81% complete, producing 33.26 MMT, with average yields at 2.76 MT/ha versus 3.21 MT/ha this time last year, a drop of 14%. The corn harvest is 42% done, producing 7.22 MMT so far, with an average yield of 3.87 MT/ha. That means that yields are going to have to improve significantly in the second half of the harvest if they are going to get anywhere near the USDA's forecast 21 MMT crop. 03/10/12 -- The overnight electronic market is sharply lower this morning with soybeans down around 20-25 cents, with corn down 8-10 cents lower and wheat 10-14 cents easier. FCStone put a dampener on things with a couple of yield/production estimates that were better than last month's USDA projections. They see US corn yields at 123.9 bushels/acre, giving a crop of 10.824 billion bushels this year. The USDA were 122.8bpa and 10.727 billion bushels in September. For soybean,s FCStone went 38.2bpa and production of 2.849 billion bushels versus the USDA's 35.3bpa and 2.634 billion bushels. Informa are said to be out on Friday with their latest forecasts ahead of the USDA themselves next Thursday. Wheat is down for the sixth day in seven, whilst front month beans have now shed 15% since the first business day of September and corn is down a more modest 7% in the same time frame. Extreme weakness in Malaysian palm oil, which has crashed to its lowest in more than three years, is weighing on the soycomplex in particular. China is closed this week for a national holiday, effectively taking them out of the market, adding to the bearish tone. It is worth noting however the strong seasonal tendency for corn and soybeans to both put in a harvest low around now. Wheat on the other hand, make a note, has bottomed out in June/July in each of the last three years. Egypt are back tendering for wheat today, with the results expected this afternoon, and France the favourites to again win the majority of the business. It will be interesting to see if Russian wheat is even offered for Dec 11-20 delivery, and if so at what price. US wheat isn't expected to stack up, but you never know. Agritel say that Ukraine has already shipped 0.6 MMT of rapeseed in Q1 of 2012/13 out of an expected full season total of 1.0 MMT. The Russian Ministry say that the country exported 2.616 MMT of grains between Sep 1-26, including 2 MMT of wheat. That brings their 2012/13 marketing year-to-date grain exports to 7.435 MMT, which is 19% down on last year, they say. 02/10/12 -- Soycomplex: Nov 12 Soybeans closed at USD15.30 1/2, down 29 3/4 cents; Jan 13 Soybeans closed at USD15.33 1/4, down 29 3/4 cents; Oct 12 Soybean Meal closed at USD463.40, down USD11.20; Oct 12 Soybean Oil closed at 50.27, down 45 points. Funds were estimated sellers of around 9,000 soybean contracts on the day, and so we move lower, it's as simple as that. Harvest pressure was cited as being the primary factor behind recent fund selling, along with continued talk of significantly better than expected yields, driving beans to fresh 3-month lows. Soybean harvesting moved rapidly forward reaching 41% complete as of Sunday night, compared to 19% on average. "Eighty-five percent of soybeans were shedding leaves indicating rapidly advancing maturity. 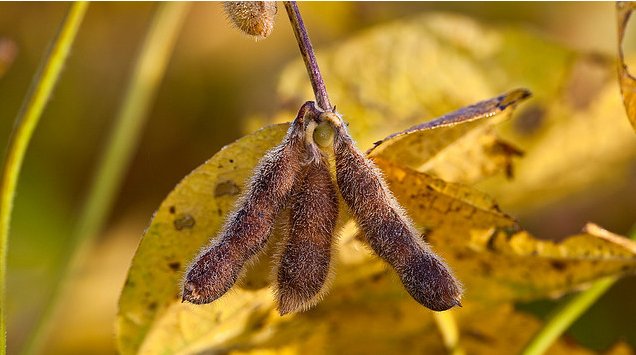 Growers are inspired to get soybeans out of the field as quickly as possible, since drying pods are prone to shattering, spilling soybeans to the ground where they would be un-recoverable," said Martell Crop Projections. It is "normal" for beans to trade seasonally lower at this time of year, in fact it is worth noting that in each of the past 4 years, beans have bottomed during first week of October, according to Benson Quinn Commodities. Corn: Dec 12 Corn closed at USD7.58 1/4, up 1 1/2 cents; Mar 13 Corn closed at USD7.59 3/4, down 1/4 cent. Funds were said to have been modest net buyers of around 3,000 corn contracts on the day. There's some talk of corn yields also improving as the harvest progresses past halfway, but only modestly so compared to soybeans. FCStone came out with a corn yield estimate of 123.9 bu/acre and a crop of 10.824 billion bushels versus last month's USDA forecast of 122.8bpa and 10.727 billion bushels. "The very dry conditions promoting rapid harvesting are a mixed blessing, as persistent drought is a major worry for next year’s corn potential. Corn relies on stored ground moisture that is replenished during the fall and winter. Without a good base of subsoil moisture, the crop is prone to summer drought," said Martell Crop Projections. Corn production in the EU is seen around 10 MMT down on last year to 55 MMT, with the most significant crop losses in the east. Output in Hungary is now only forecast at 5.2 MMT by the IGC, versus 8.1 MMT in 2011/12, and Romania's crop is seen at just 6.5 MMT versus 10.5 MMT a year ago. Wheat: Dec 12 CBOT Wheat closed at USD8.71 1/2, down 12 3/4 cents; Dec 12 KCBT Wheat closed at USD8.92 1/4, down 14 3/4 cents; Dec 12 MGEX Wheat closed at USD9.24 1/4, down 13 1/4 cents. Fund selling was placed at 3,000 Chicago wheat contracts on the day. Egypt are back testing the water and tendering for an unspecified volume of wheat, this time for Dec 11 to 20 delivery - their furthest forward purchase yet. As ever it will be interesting to see how the various origins line up, although it would be a surprise to see US wheat feature. Russia's Deputy Agriculture Minister said that the government is to consider selling off part of it's 5 MMT of wheat intervention stocks to local flour millers in Siberia, the Urals and the far east of the country as early as this week. In its long-term winter weather outlook MDA CropCast said that what rainfall is around "should be most abundant in the southern Plains, although an upturn in precipitation is also expected across the central Plains this winter. The upturn in showers in the central Plains should finally begin to replenish moisture for winter wheat." 02/10/12 -- EU grains ended lower with Nov 12 London wheat GBP0.95/tonne easier at GBP200.00/tonne and with Nov 12 Paris wheat EUR3.25/tonne weaker at EUR259.25/tonne. This was the fifth lower close in six for London wheat, slumping to only its second GBP200/tonne or lower close since mid-August. Open interest continues to drop in front month Nov 12 London wheat, six weeks ago it was 10,000 contracts (ie 1 MMT), it has now fallen by more than two thirds since then with traders unsure about how much futures standard 72.5kg/hl wheat is out there. The UK trade is also still trying to weigh up sharply lower production this year (13.6-14.0 MMT), against rapidly diminishing export prospects for the sort of wheat quality that we have. It also seems highly likely that UK imports will be significantly higher in 2012/13 too. Meanwhile offers of competing raw materials in compounders rations, such as wheatfeed, are plentiful. On the international stage, Ukraine has exported 5.2 MMT of grains in Q1 of 2012/13, or which 2.4 MMT is wheat, 1.4 MMT corn and 1.2 MMT barley. The Ministry appears to have placed an informal quota of 19.4 MMT on full season exports. Ukraine's grain harvest currently stands at 32.7 MMT off 80% of the planned area. Yields are averaging 2.74 MT/ha, well down on last year. Winter plantings are running at 5.1m ha, up 8.5% on a year ago, incl 4.6m ha of wheat. The total winter grain area is expected to be 8.2m ha. Meanwhile, Russia's grain harvest stands at 66.4 MMT off 91% of the planned area. Yields are averaging 1.844 MT/ha, down 25% on last year. Kazakhstan's grain harvest is at 13.97 MMT off 98% of the planned area. Yields are averaging 0.92 MT/ha, down 43% on last year. Australia's wheat prospects aren't improving much. "September rainfall was below average over most of the southern mainland of Australia, and in the lowest 10 per cent of records for parts of South Australia, New South Wales, and Victoria," say the Bureau of Meteorology. Across the pond it seems to be a case of better but must try harder. "The US Southern Great Plains received .81 inch of rainfall on average last week, boosting topsoil moisture for planting. Kansas received only .60 inch, not improving field moisture enough. Growers in the top US wheat state rated topsoil moisture at 68% short-very short, 32% adequate and 0% surplus," say Martell Crop Projections. Friday Seems A Long Time Ago Doesn't It? 02/10/12 -- The overnight markets are lower, with beans leading the way around 17-18 cents easier, wheat down 9-10 cents and corn down 2-3 cents or so. Much of the weakness in beans coming in the last hour. Friday night's strong rally already seems a very long time ago. With the USDA's bullish corn number now absorbed it would seem and we are scratching around for fresh news ahead of next week's October WASDE report from the USDA due on the 11th. Before that we've got this Thursday's weekly export sales numbers to peruse. A feature of recent reports has been strong demand for US soybeans, slack demand for corn and ho-hum demand for wheat. Golden Sacks have apparently released a report saying that they expect Chicago wheat to average USD10.25/bushel over the next three months, saying that they expect wheat and corn prices to outperform those of soybeans. The future of soybean prices is an interesting one. Nearby we have very strong demand for US beans with South America just about finished until new crop and a very healthy forward book for US sales for 2012/13. We also have new crop pressure, with US growers seemingly content to sell the nears on an inverse market, and reports of better than expected yields as the US harvest progresses. Going forward of course we have the spectre of huge South American production. US stocks though will probably be pretty tight by the time they come on stream. There is also the question of whether the Southern Hemisphere growing season weather will be conducive, and even if it is how will they cope logistically with record production everywhere from Bolivia to Brazil? As ever, fund activity is likely to be the determining factor as far as price direction is concerned going forward, and second guessing them is like figuring out the next move of a menopausal USDA full of gin. With Russia and Ukraine's harvest drawing to a close, and Kazakhstan's just about finished, we're already looking at planting progress in the Black Sea and Europe. Ukraine farmers have sown winter grains sown on 5.1m ha so far, up 8.5% on this time a year ago, including 4.6m ha of wheat. Total winter grain area is expected to be broadly unchanged on a year ago 8.2m ha. Soil conditions so far are said to be "significantly" better than last year. Although dryness persists in the south and east, it usually does. Russia's Deputy Agriculture Minister has said that the government is to consider selling off part of it's 5 MMT intervention stocks to local flour millers in Siberia, the Urals and the far east of the country as early as this week. Domestic wheat prices are said to have softened in the last few days after reaching their highest levels since April 2008 last week. 01/10/12 -- Soycomplex: Nov 12 Soybeans closed at USD15.60 1/4, down 40 3/4 cents; Jan 13 Soybeans closed at USD15.63, down 39 3/4 cents; Oct 12 Soybean Meal closed at USD474.60, down USD12.40; Oct 12 Soybean Oil closed at 50.72, down 146 points. This was the lowest close for a front month in soybeans in three months, as funds sold an estimated 10,000 bean contracts on the day. Talk of better than expected yields is a recurring theme as the US harvest progresses. Weekly export inspections of 41.669 million bushels were impressive to say the least (almost 4 times year ago levels), with shipments three weeks into the marketing year already 68% up on this time last year and export sales looking like being around 80% of the USDA's entire 2012/13 target of 28.7 MMT when Thursday's export numbers come out. Producer selling is said to be fairly strong at these levels, as the market offers little incentive to carry into the spring at the moment, when there is a huge South American crop anticipated. After the close the USDA estimated the US soybean harvest at 41% complete, more than double the 5-year average of 19%. Good/excellent crop conditions were unchanged from last week. Corn: Dec 12 Corn closed at USD7.56 3/4, up 1/2 cent; Mar 13 Corn closed at USD7.60, up 1/2 cent. Funds were judged to have been even in corn activity on the day. Support came from Friday's limit up move in the light of the USDA's lower than anticipated Sep 1 US stocks numbers. Bearish weakness from soybeans and wheat though tempered potential gains. Corn export inspections were a bit below trade ideas at 20.2 million bushels. Unlike soybeans, US corn exports are lagging both year ago levels and the volume required to meet the USDA's 2012/13 marketing year target. Brazil were reported to have shipped a record 3.15 MMT of corn in September, the second successive month of record exports, providing strong competition for US corn. Some large US corn users will begin importing Brazilian corn themselves this month. After the close the USDA said that the US corn harvest was 54% complete, versus 20% normally. Corn good/excellent was actually raised one point to 25%, although that was 52% a year ago. They said that 92% of the crop is mature, well above the 5-year average of 72% - at least that should minimise any potential for frost damage this year. Wheat: Dec 12 CBOT Wheat closed at USD8.84 1/4, down 18 1/4 cents; Dec 12 KCBT Wheat closed at USD9.07, down 20 1/2 cents; Dec 12 MGEX Wheat closed at USD9.37 1/2, down 21 cents. Funds were said to have been net sellers of around 5,000 Chicago wheat contracts on the day. Russia's IKAR upped their grain production estimate for the country by 0.5 MMT to 70.5 MMT, including a 1 MMT rise in wheat output to 40 MMT. US export inspections for wheat of 24.5 million bushels were a bit better than the 22.9 million in the same week a year ago. Again, unlike soybeans, sales lag those of this time last year. It may be that the US end up exporting less but domestically feeding more than current USDA suggestions. 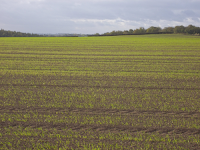 The US winter wheat crop is 40% planted versus 43% normally at this time, said the USDA. Top producing state of Kansas is a little ahead of the 5-year average with 40% of the state's crop in the ground. MDA CropCast report rains across the southern Plains, Delta, and Southeast this past weekend, which should aid wheat plantings and emergence in those areas this week. Further north it's still a bit dry, with South Dakota plantings only 50% done versus 70% normally and Nebraska at 64% complete versus 77% on average. 01/10/12 -- EU wheat closed mostly lower on the day, although off early session lows, with Nov 12 London wheat down GBP1.80/tonne to GBP200.95/tonne and Nov 12 Paris wheat EUR3.25/tonne easier at EUR262.50/tonne. The market staged a partial correction from Friday's steep gains following the USDA stocks report. Whether we have resumed the downwards phase that saw London and Paris wheat fall to one month lows last week remains to be seen. The trade is still digesting Friday's USDA numbers. For wheat, whilst US stocks came in lower than expected they aren't exactly scrapping the bins out at 2.1 billion bushels (57.26 MMT). It is also worth remembering that US wheat exports are currently well below where they would normally be at this time of year, with only 39% of the USDA's full marketing year target sold so far compared to the normal pace of 57%. US wheat prices remain uncompetitive compared to European supplies, at least into North Africa and the Middle East. They are however it would seem using more wheat domestically for feed purposes. US winter wheat plantings were 25% complete as of last Sunday, that could be more like 45% as of yesterday when the USDA report on wheat planting progress tonight. "Rains increased across the southern Plains, Delta, and Southeast this past weekend, which significantly improved moisture supplies in those areas," say MDA CropCast. IKAR today upped their estimate for the Russian grain harvest by half a million to 70.5 MMT. Analysing Friday's IGC crop production estimates a little bit further we see European wheat output pegged at 135.9 MMT versus 137.6 MMT last time. Of that they have the UK crop at 14.0 MMT, down 0.4 MMT from their previous estimate but above the latest forecasts from Coceral and Toepfer. They also dropped their ideas on EU-27 wheat exports to 16.8 MMT from 18.0 MMT previously. Russia's wheat exports were placed unchanged at 8.5 MMT (down 60% on last season), Kazakhstan's were also unchanged on last month at 7.0 MMT (a decline of 35%), with Ukraine shipments at 4.8 MMT, up 1.3 MMT on last month but sill 11% down on year ago levels. For corn, the IGC cut EU-27 production 4.9 MMT to 55.0 MMT. Sharp reductions in output are seen from Hungary (5.2 MMT versus 8.1 MMT in 2011/12) and Romania (6.5 MMT versus 10.5 MMT). Barley production was forecast slightly higher than last year at 53.4 MMT, with output in the UK now seen at 5.4 MMT versus 5.5 MMT last year. I still remember on our wedding night though as if was yesterday, when I said "do you mind if I switch the light off?" She said "Awe, that's all romantic, are you still a bit shy?" I said "No, it's burning me arse. "(I always made sure we bought a house where the bedroom had a high ceiling after that). Strong changes in the weather pattern have developed in the recent 10 -14 days and opposite of before. This may be due to a weakening El Nino. Sea surface temperatures in the tropical Pacific Ocean temperatures have generally cooled, moving toward neutral values. The Nino 3.4 region temperatures fell to +0.3 C in late September and below the threshold for El Nino which is +0.5 C.
Sharply weakening of the El Nino signal has brought about sharp changes in weather conditions that look more like La Nina, and opposite of the pre-existing conditions. The Climate Prediction Center September 24 claimed ENSO-neutral conditions were present, but that El Nino was still expected to develop. Australia scientists claimed that the odds of El Nino happening have eased, but the “risk remains”. The most recent report said that despite the shift towards neutral conditions, the tropical Pacific remains warmer than average, Aussie scientists claimed (i.e. much like El Nino). The sharp weakening of the El Nino signal has produced sharp changes in weather conditions. In some areas the change has been positive for crops, in others, negative. 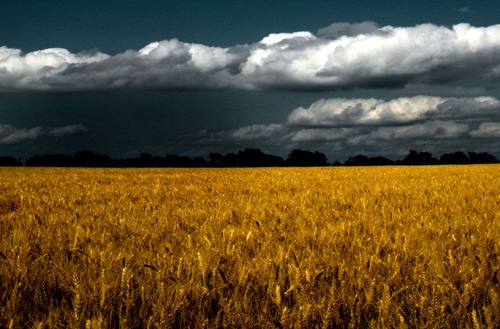 Eastern Australia received generous rainfall in New South Wales that would boost wheat conditions. Rainfall from .50 to 1.5 inches occurred in the northern and central wheat growing areas of the state. Drought had worsened from August to mid September. The top wheat state Western Australia also received generous rainfall, reversing a dry pattern. West Sumatra and Malaysia, the leading palm oil producing areas in Indonesia, were drenched with heavy, soaking rains the past 10-14 days. August conditions had been hot and dry. Argentina weather turned drier and colder in late September, more in line with La Nina than El Nino. South Brazil weather has been mostly dry, again a symptom of weak La Nina signal. Though we cannot prove it, the weakening El Nino signal may also be responsible for heavy soaking rains recently in southeastern Europe, Ukraine and southern Russia. These key winter-grain areas previously had been desperately dry and unseasonably hot. 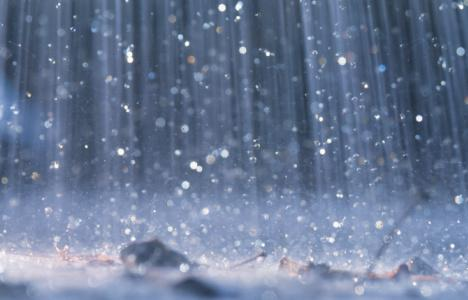 Soaking rains recently brighten the outlook for winter wheat and rapeseed planting. The United States weather pattern has been mixed. A sharply colder weather forecast in 4-7 day outlook is symptomatic of a La Nina signal. However, heavy soaking rains last week in the Southern Great Plains came from a strong subtropical jet stream that is consistent with El Nino.